Keep your feet dry all day long in these Work Boot socks. Dual Layer Moisture Removal System instantly moves moisture from the inner layer to the outer absorbent layer, keeping feet dry. Dense padding protects the feet without adversely affecting the fit of your shoes. Anti-blister system helps protect your feet from blisters. Top mesh air vent to keep feet drier and cooler. MicroZap® antimicrobial fibers fight odor-causing bacteria, helping to keep socks odor free. Special fibers provide a comfortable springiness and do not get stiff, shrink or lose shape over time. 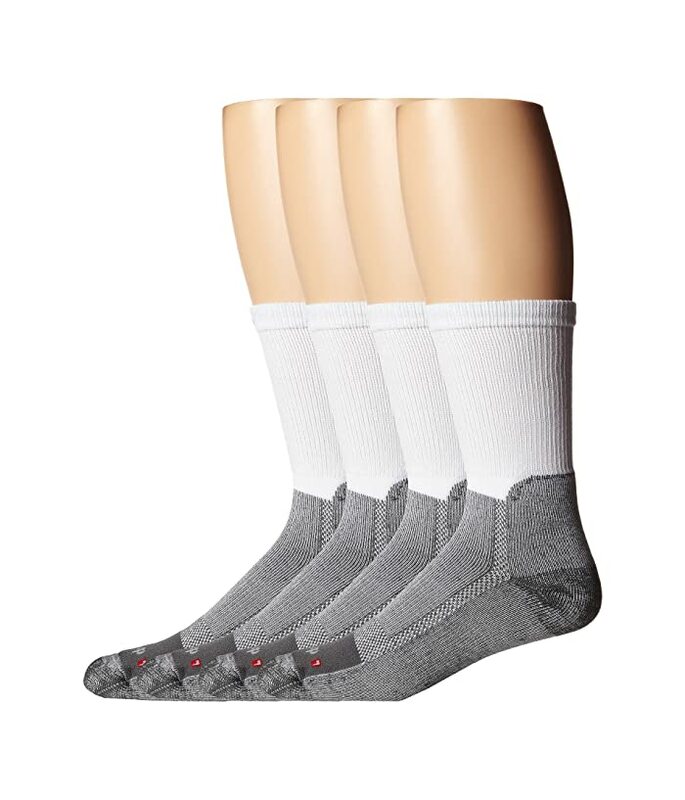 These socks are designed to last a long time using the highest quality fibers, and abrasion-resistant nylon reinforcements are placed in the normal wear areas. 50% Drymax®, 35% polyester, 8% nylon, 7% spandex. Machine wash warm with like colors, tumble dry low. Do not use fabric softeners or chlorine bleach.